On the 15 July 2018 H.R.H. 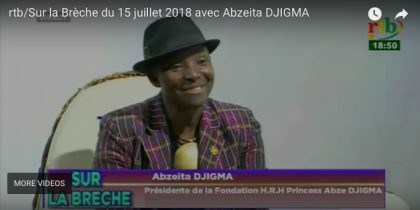 Princess Abze Djigma got interviewed in Sur la Brèche by Jérémi Sié Koulibaly, journalist at RTB Télévision du Burkina. 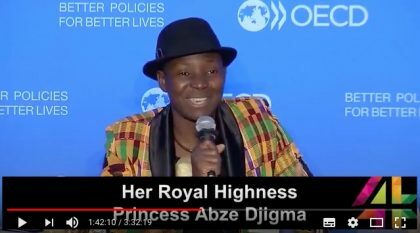 Her Royal Highness Princess Abze Djigma of Burkina Faso spoke at the OECD Global Forum on Development 2018 about how technology can mitigate conflicts and support access to finance thereby creating opportunities for women and young people. 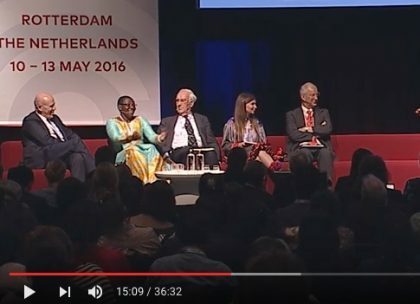 A very good example of the impact of the work of H.R.H. 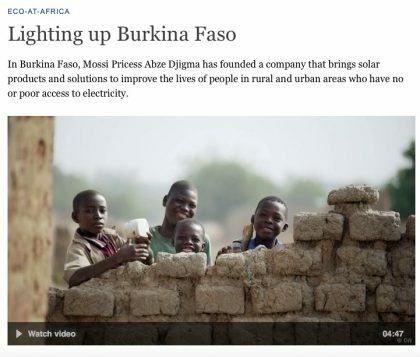 Princess Abze Djigma and her Foundation in village of Kalembouly is filmed by Deutsche Welle. 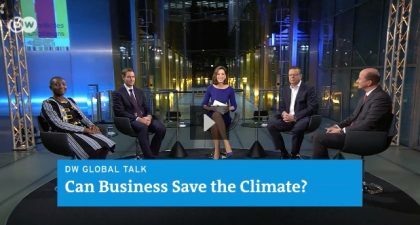 The climate is under threat and business has played its part in harming the environment and thereby the livelihoods of many people on our planet. 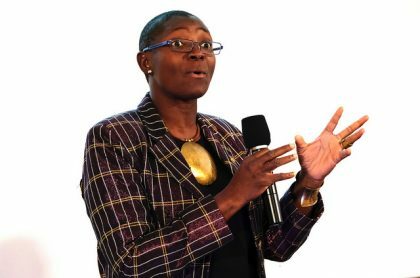 But can it also bring us back on track to save the climate? 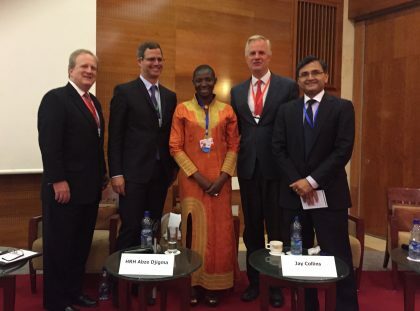 What can business do, where should companies start? 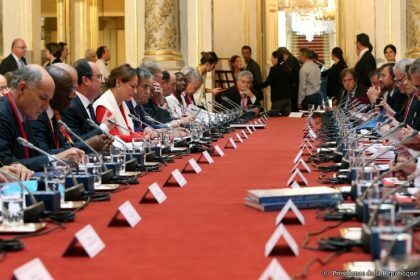 The R20 AUSTRIAN WORLD SUMMIT is a annual network platform for green infrastructure projects from regions and cities to meet the UN Sustainable Development Goals and the international climate goals outlined in the Paris Agreement. In March 2017 H.R.H. 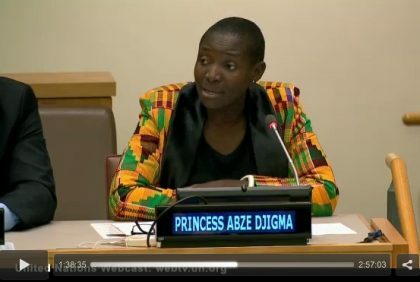 Princess Abze Djigma was one of the high level speakers at the High Level SDG Action Event “Climate Change and the Sustainable Development Agenda” convened by the President of the UN General Assembly at the United Nations Headquarter in New York. H.R.H. 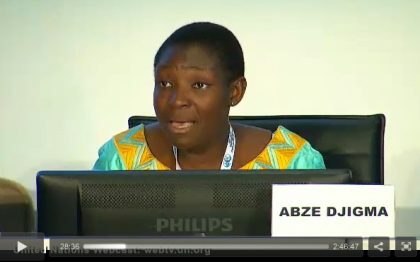 Princess Abze Djigma attended COP22 as a part of the Burkina Faso delegation and participated in many sessions. H.R.H. 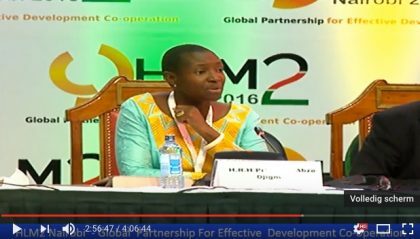 Princess Abze Djigma participated on behalf of the International Chamber of Commerce in the Second High-Level Meeting of the Global Partnership (HLM2) in Nairobi in November 2016. H.R.H. 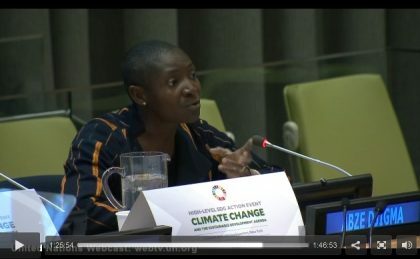 Princess Abze Djigma was one of the speakers at the High-Level event as part of the Paris Climate Agreement Signing Ceremony at the UN Headquarters in New York April 2016. H.R.H. 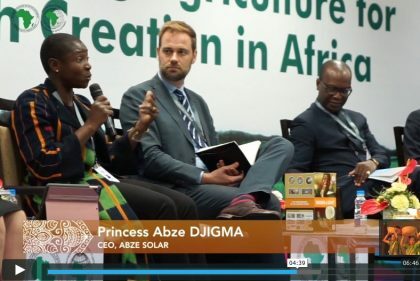 Princess Abze Djigma, representing the informal sector of Africa at Adaptation Futures 2016 in Rotterdam, was one of the key note speakers and participated in the opening and closing videos. H.R.H. 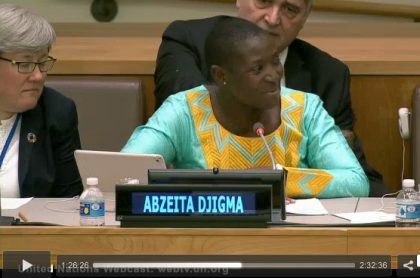 Princess Abze Djigma covered Goal 8 on Decent Work and Economic Growth during the SDG Business Forum 2016 at the UN Headquarters in New York. H.R.H. 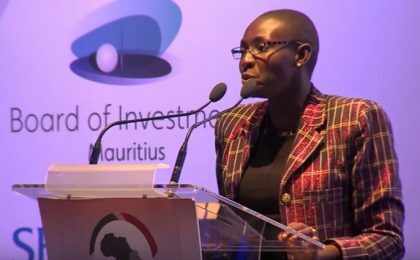 Princess Abze Djigma spoke during the high level luncheon and participated in the Business Dialogue, opened by the President of the Republic, Francois Hollande. H.R.H. 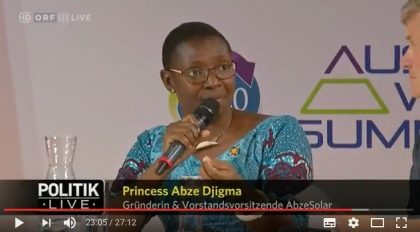 Princess Abze Djigma gave a keynote speech at the Africa Partnership Conference 2016. 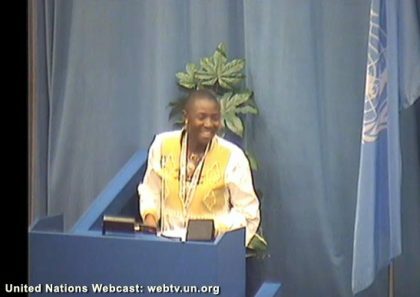 She highlighted the potential of Africans and the importance of empowering the Informal Sector. 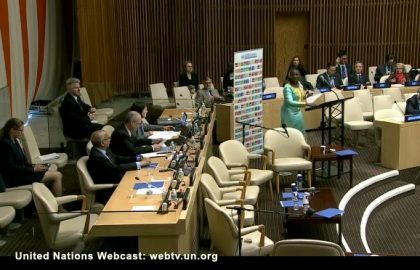 On May 29th 2015 H.R.H. 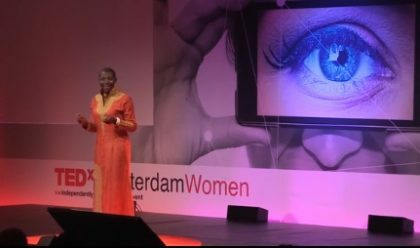 Princess Abze Djigma was invited as a special guest to talk about the rural areas of Africa and how Light changes the Life of the people at the TEDxAmsterdamWomen 2015 event in Amsterdam. 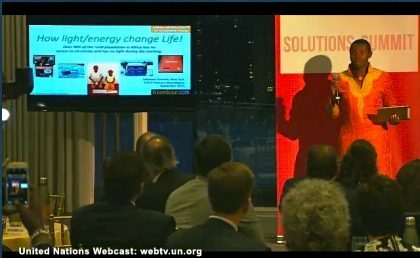 The Initiative MAMA-LIGHT® for Sustainable Energy got selected as one of the 14 global breakthrough solutions for achieving the new Sustainable Development Goals during the UN Sustainable Development Summit 2015. H.R.H. 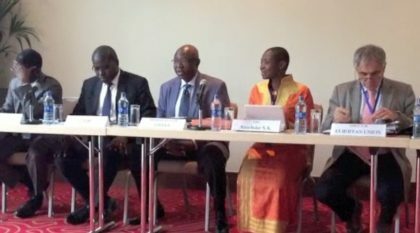 Princess Abze Djigma organised an event about empowering the informal sector during the The Third International Conference on Financing for Development (FfD3) in July 2015 in Addis Ababa, Ethiopia. H.R.H. 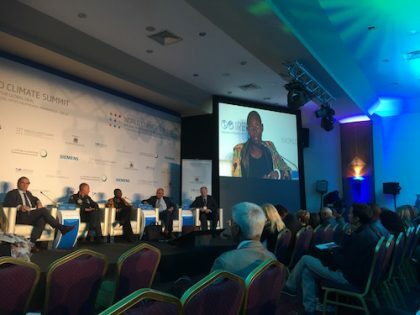 Princess Abze Djigma spoke at the International Business Forum during the The Third International Conference on Financing for Development (FfD3) in July 2015 in Addis Ababa, Ethiopia. H.R.H. 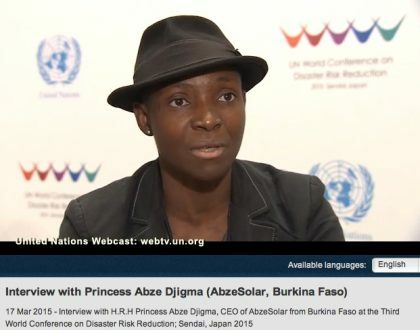 Princess Abze Djigma represented the African Private Sector at the Third UN World Conference on Disaster Risk Reduction was held from 14 to 18 March 2015 in Sendai City in Japan.